Eight Below | to be or not to be? By God’s grace, I able to watch this movie on Monday. 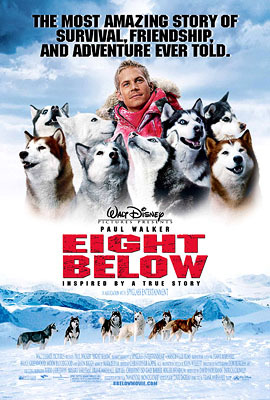 This movie is moderate in story, but touching if you like dogs (in particular, siberian huskies). Maybe I had too many expectation on this movie, or just merely because I initially wanted to watch The Tiger and The Snow, just that the time doesn’t allow me to do so.